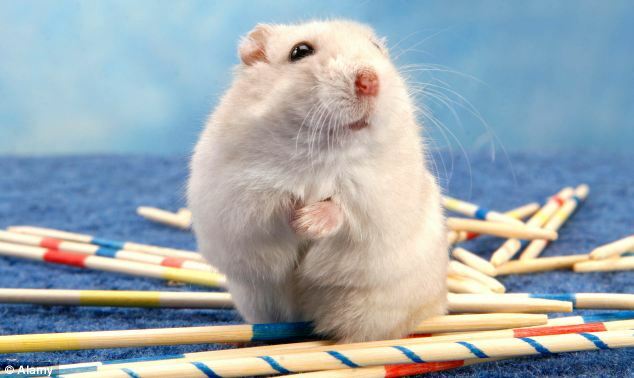 When these hamsters decided it was time to play they got more than they bargained for. Almost 2 million people have watched video footage of two tiny Roborovski hamsters being flung at top speed to the edge of their 'flying saucer' wheel after their run gathered pace. 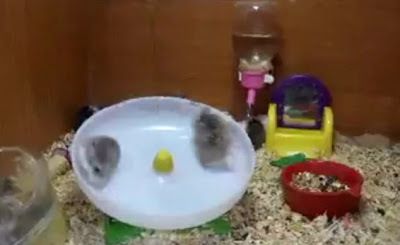 The footage taken in a pet shop shows how the two tiny creatures become a furry demonstrators of centrifugal forces - the apparent outward force that draws a rotating item away from the centre of rotation. 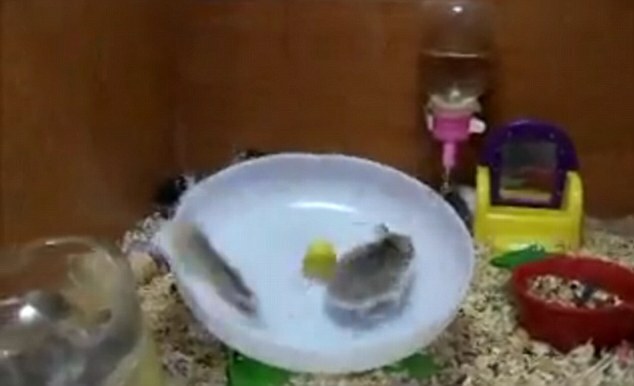 One hamster jumps into their flying saucer and starts running. Then another hops in and joins in the exercise and both are flung to the edge of the wheel. But after a few seconds first one, then the other, get upright again and continue running. 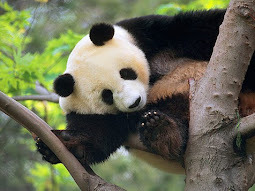 Then one is flung to the edge again while its mate keeps running, until both are again hurled to the edge of the wheel. After they manage to start running again the wheel slows right down and even spins in the other direction, at which point one nonchalantly hops out and heads for their food bowl. Roborovski hamsters are the smallest and fastest breed of hamster, and they are said to run on average the equivalent of four human marathons a night. Their athletic feat has gone viral. The video on Youtube has been seen more than 1,700,000 times. 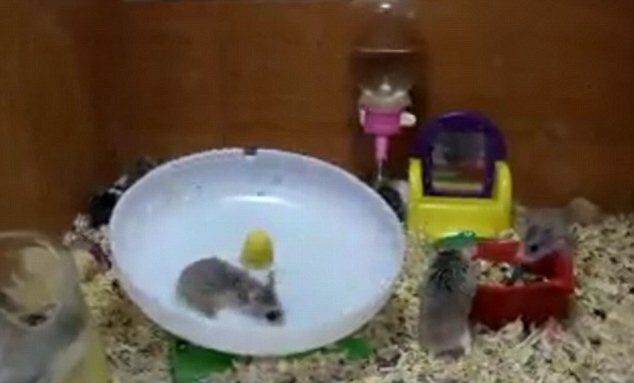 Amid hundreds of comments on the video, anxious hamster fans worried that the tiny creatures were stressed to find themselves propelled at such high speed. But another comment pointed out that the creatures must have been in control of the spinning disc because it slowed down instantly when they stop running.